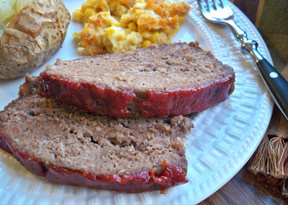 This old fashioned meatloaf will have you hooked. 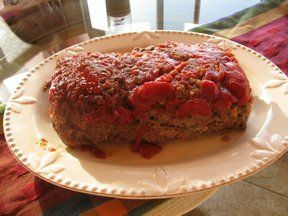 Serve with mashed potatoes and green bean casserole to make it a meal. 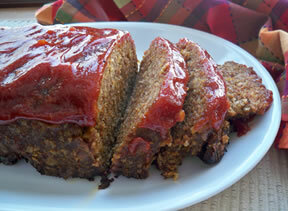 Press the brown sugar in the bottom of a loaf pan and spread the ketchup over the sugar. Bake in preheated oven for 1 hour 15 minutes or until juices are clear. Allow to sit for 5 minutes. Drain off some of the fat. Carefully flip onto a platter and enjoy. "This is delicious. 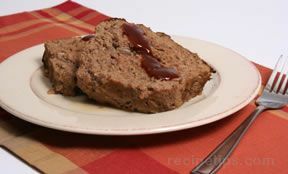 I did make a few changes since I prefer my meatloaf shaped in a loaf on a baking sheet so I put the sauce on top. Be sure to use a rimmed baking sheet so it doesn't make a mess of your oven. And I use onion soup mix instead of onion to hide them from some family members that don't like the texture of onions."